And that was that. Whether or not I had to do the injections would make or break the deal. We first worked with Texas Fertility out of Austin. 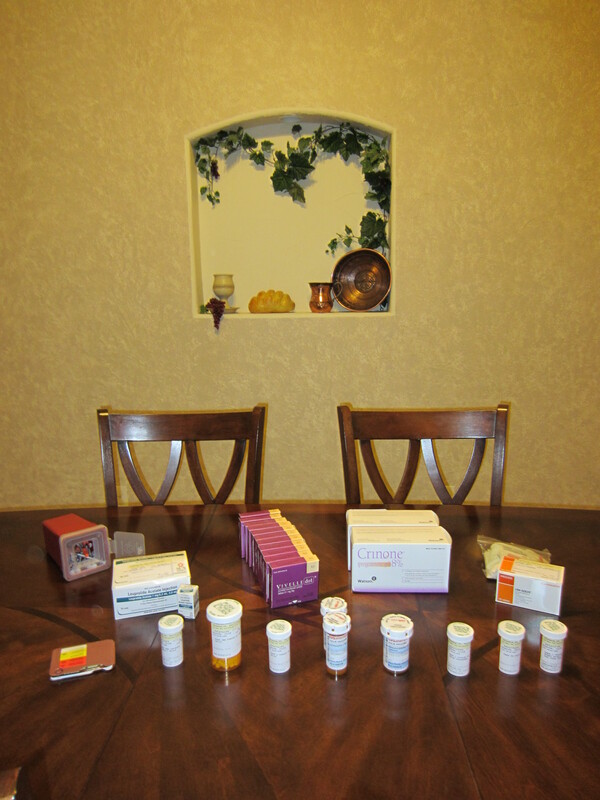 I was put on birth control simply to help the doctors time the other medications and the transfer. No big deal. I could handle that. I also began prenatal vitamins. A few weeks of estrogen pills, a few days of progesterone gel, and a Valium later and it was a done deal. Embryo transfer number one, down! Our second embryo transfer was with Houston IVF. I, being the pro that I am after one experience (yeah, right!) and assuming that all fertility clinics are alike, geared up for another simple round of pill poppin.’ Of course I made sure to ask if they would allow me to use the progesterone gel instead of the injections (a lot of clinics feel that only the shots are tried and true and do not use the gel) but I didn’t really ask about anything else. My nurse told me that I would have to take Lupron injections for about three weeks to knock out any of my own hormones, but assured me that they were no big deal. Teeny tiny needle in the fat of the stomach. Nothing compared to the progesterone ones…. So I psyched myself up. This is totally do-able. A few pills. A few shots. Some gel. I got this! Shortly afterwards, I received a box via Fedex. A BIG box. A big box stuffed with several little boxes and lots of bottles. My heart was racing. What in the world was all of this?!?! Surely they had given me somebody else’s order! I don’t DO lots of medication! I called the nurse, in a panic, calling off all the names to her. She patiently explained some of them to me and said she’d email me a calendar explaining when to take what. Some of them, she said, we’d get to later. Needless to say, it was a rough day for me. Let me re-phrase that. It was a rough couple of months for me! Either I’m a big baby, or BJ is the absolute WORST shot-giver on the planet! I dreaded 8:30 and the supposedly “easy peasy” Lupron injections every single night. Some bled. Some burned. Some wouldn’t GO IN! And some got stuck coming OUT! I thought the needles weren’t sharp enough or something! (The nurse said that callouses develop and you have to be careful not to inject in the same spot or this will happen.) When BJ gave me my 24th and final injection (felt more like 124th!) I finally broke down and cried! Big needle. Little needle. It doesn’t matter. I. HATE. SHOTS! Thank God it was finally over! But that wasn’t the end of my troubles! One of my meds was causing insomnia. I couldn’t fall asleep until 2-3 a.m. A couple of my other meds were affecting me emotionally. My emotions were a roller coaster of ups and downs for weeks! BJ and I laughed as tears streamed down my face one night as we watched American Ninja Warrior. It was ridiculous, and I knew that the medications were causing all of the tears, but there was nothing I could do to stop them from coming. So we just laughed. And laughed. And laughed! Soon after, we found out that my estrogen levels were still too low and they added another form of estrogen-a pill- to my list of daily meds. This time, BJ only had to make a slightly negative comment about my shirt to get the tears flowing! I cried during commercials. I cried during worship at church. I cried just chatting with my mom, BJ, or friends! 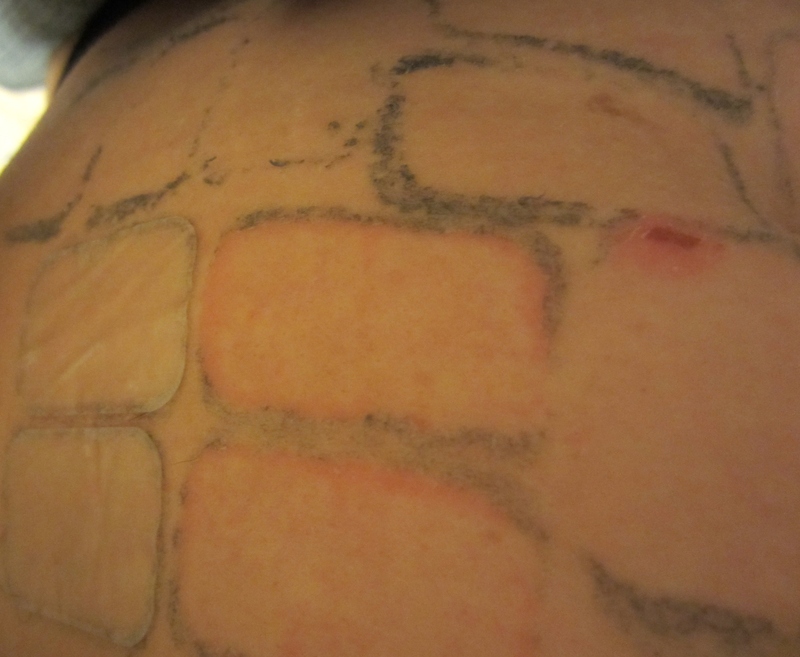 The estrogen patches irritate the skin. You have to move them around and can’t put them in the same spot until a week has passed. Here you can see the irritation from the freshly removed patches and how I barely tried to rub off the sticky residue that one left, but rubbed my skin off instead! Thankfully, I now have a special product to remove the residue! Currently, I take a prenatal vitamin, an aspirin, 6 progesterone capsules, and one estrogen pill daily. I have to put on 4 estrogen patches every other day. We recently received a call from a nurse stating that my progesterone levels were too low and I would have to start the intramuscular progesterone in oil shots immediately. After freaking out a little, and getting sick in the bathroom, I told the Lord that this wasn’t the deal we made, but that I trusted Him. I told the nurse that I would do whatever I had to do to make this pregnancy successful, but if there was ANY other way… They put me on a high dose of progesterone capsules (high enough to make a pharmacist crazed!) and my levels went right up! Thank you Lord for coming through for me and NO INJECTIONS! In addition to the meds, a surrogate must undergo a psychological exam, counselling, a physical exam, a procedure called a hysteroscopy where dye is injected into the uterus, one or more uterine lining checks, a mock embryo transfer or “practice” run through without the actual embryos, (Not all clinics do this. 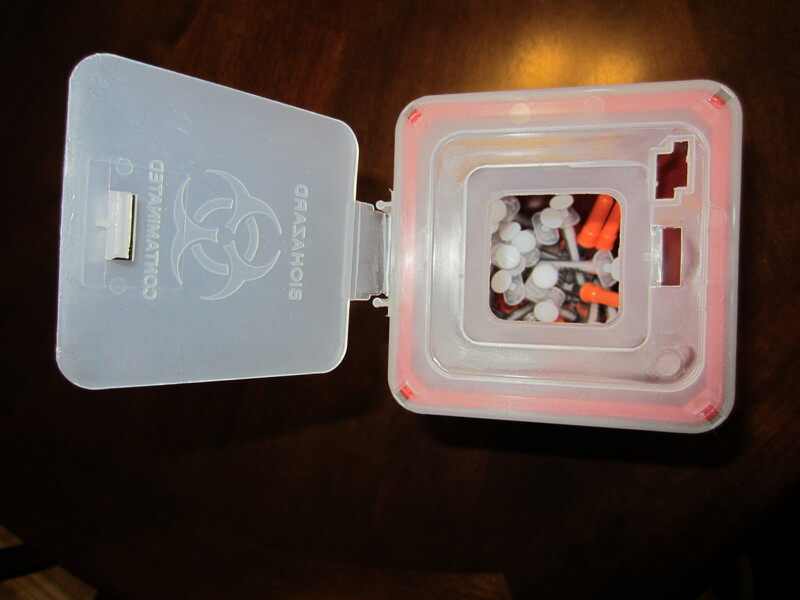 Austin did, Houston did not) and multiple blood draws to check medication levels regularly. In our case, we also had to meet with an infectious diseases specialist because I tested negative for a very common flu-like virus that one of the intended parents and the embryos tested positive for. 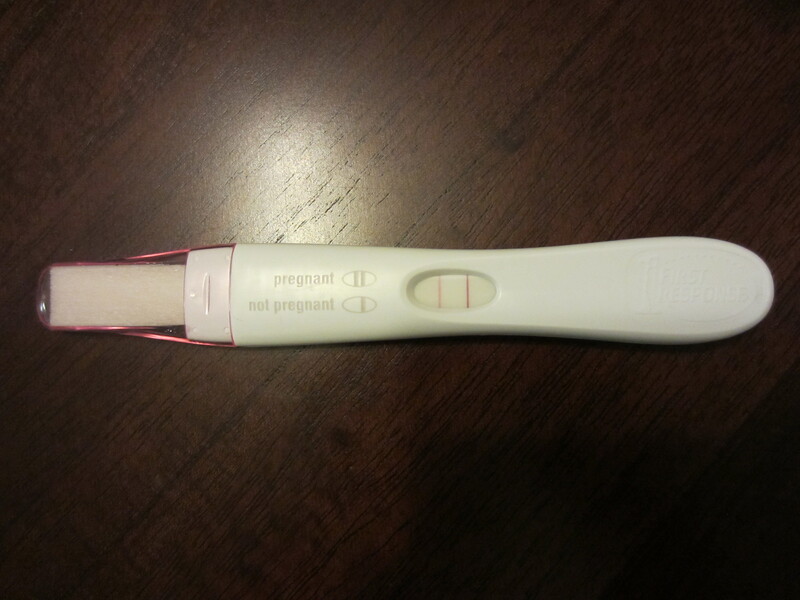 As you can see, it’s been a long journey to get to “the beginning” of our surrogate journey! Was it worth it? I’d have to positively say, “YES!” It’s amazing how the memory of those shots and tears fade away when you get to yell, “You’re having a BABY!” to someone who thought it might not ever be possible. I’d do it again and again to be able to bring that kind of joy to anyone.